Tools and blades come in so many different shapes and sizes, and when used regularly require sharpening. Their variety generates the need for shaped sharpening stones. 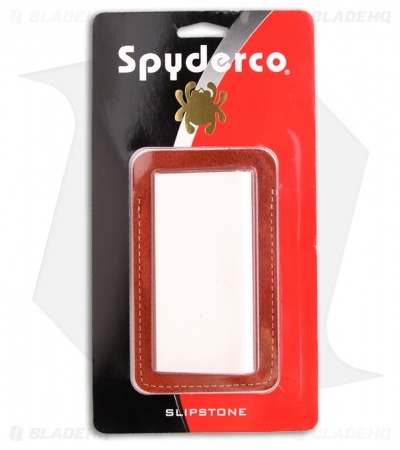 Slip-shaped stones are great for sharpening curved blades, woodworking tools, plane irons and sophisticated shaped edges. When viewed in profile, slip stones are teardrop shaped. They hone flat, concave, convex edges and bring slant-edge and straight chisels to their sharpened best. 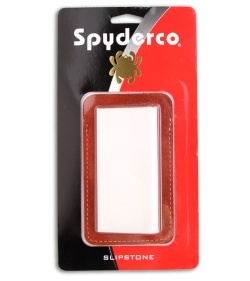 Spyderco's fine grit ceramic slip stone is flat, thin and ultra smooth for professionally finishing and sharpening. They're made from Alumina Ceramic, a process where a bonding agent is combined with Alumina particles that are actually synthetic sapphires. The stone is formed into a slip teardrop and kiln fired to 3000 degrees F. Alumina ceramic stones measure 9 on the Mohs hardness scale (out of 10) and don't require lubricants like oil or water for use. Fine grit stones tighten and smooth the cutting edge's scratch pattern for an even keener, hair popping edge. 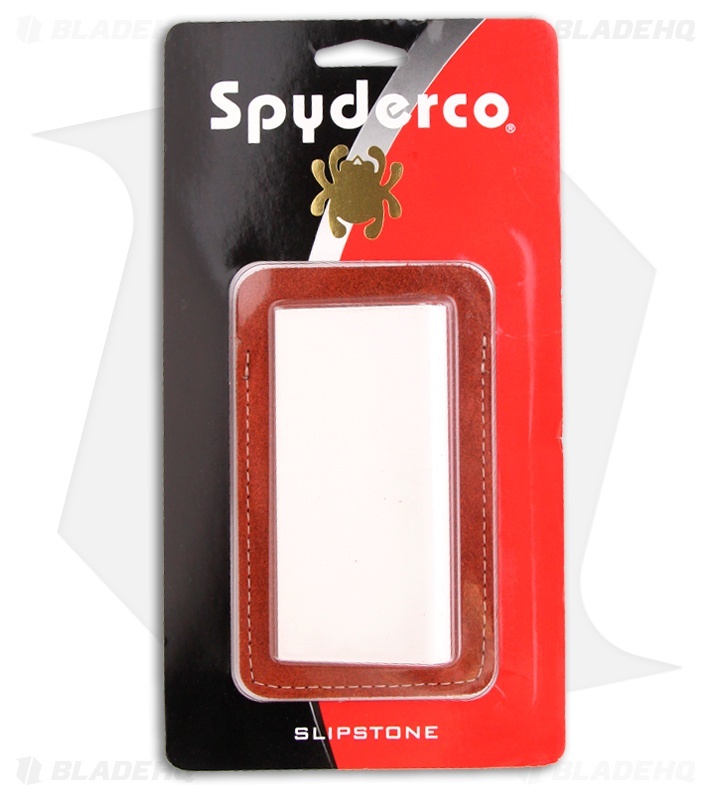 Spyderco's slip stone is 2" X 4" thin and light enough for hand held use, taking the sharpening surface directly to larger items. We recommend when tabletop sharpening, using the stone on top of its' suede carrying case for slip free use. To clean, wash in fresh water and scrub with powdered abrasive cleaner and a scouring pad. Rinse and air dry.